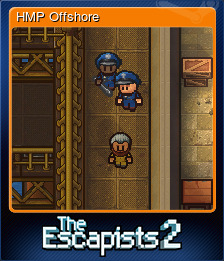 The Escapists 2 | Steam | Opium Pulses - Cheap Prices, Great Service. Get whisked away by a hunky medic. 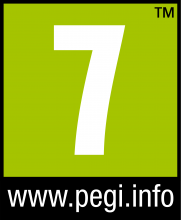 Use a customised character in-game. Play a Classic Game Online. Get mauled by a guard dog. Max out the Strength statistic. 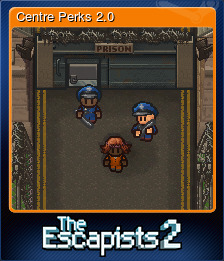 Escape the Centre Perks 2.0 prison. Max out the Fitness statistic. 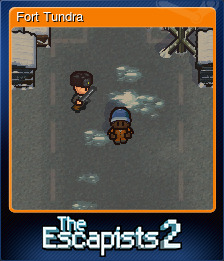 Enter a multiplayer only area. Max out the Intellect statistic. 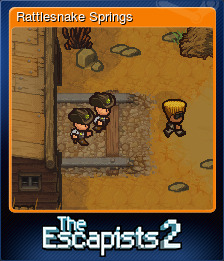 Escape the Rattlesnake Springs prison. Max out all 3 character statistics. Play a Versus Game Online. Play on the instruments for 1 hour of in-game time. 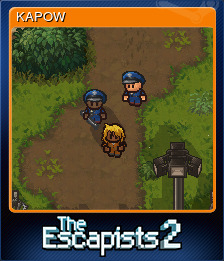 Escape the K.A.P.O.W Camp prison. Attend dinner whilst being naked. Make a cup of tea and gift it to another inmate or guard. Escape the H.M.P Offshore prison. Escape the Fort Tundra prison. Gain a high enough opinion from a dog. Attack a guard with a cake. 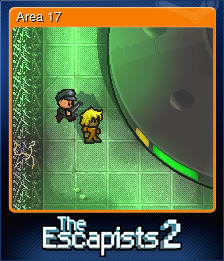 Escape the Area 17 prison. Escape H.M.P. Offshore on Snooty the Dolphin. 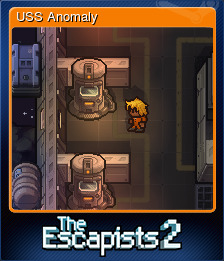 Escape the U.S.S Anomaly prison. Knock out every inmate at least once in a single prison. Tag 200 places throughout any prison. Perform 7 unique escapes across the Classic prisons. Spend 3 days total time in solitary over multiple prisons/sessions. Complete a quota of the Kitchen job whilst being naked. Win 10 Online Versus Games. Complete the quota once for each of the jobs over multiple prisons/sessions. Go 3 consecutive days without raising your Guard Heat above 0 in a single session. Fight another player in the U.S.S Anomaly, when you are both armed with energy swords. Spend 3 days total time in the showers over multiple prisons/sessions.